Hopeful. Peaceful. Happy. Tranquil. Secure. Productive. Inspired. How do you feel when looking up at a big blue sky? Some say it’s bad to have your head in the clouds, but we beg to differ! 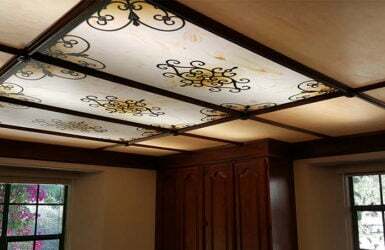 With our decorative sky panels, everyone in your home or office can benefit from enhanced lighting and the boost in mood and energy that provides. 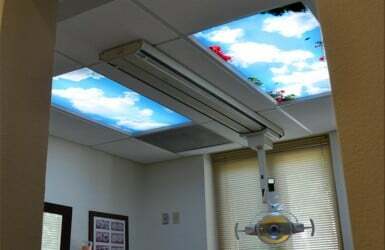 Whether the forecast calls for rain or shine, everyday is nothing but beautiful blue sky when you order a ceiling light cover from Fluorescent Gallery. 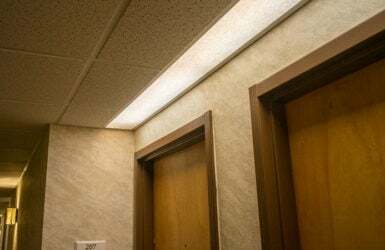 Are you ready to replace harsh fluorescent lighting with a fresh look? 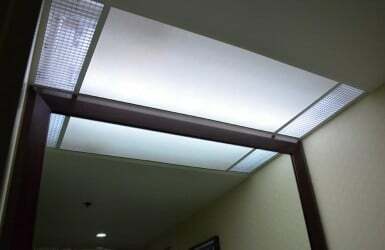 Most of our light diffuser panels are available in 46½ x 22¼, 47¾ x 23¾, and custom sizes. Various print mediums and thicknesses are also available. 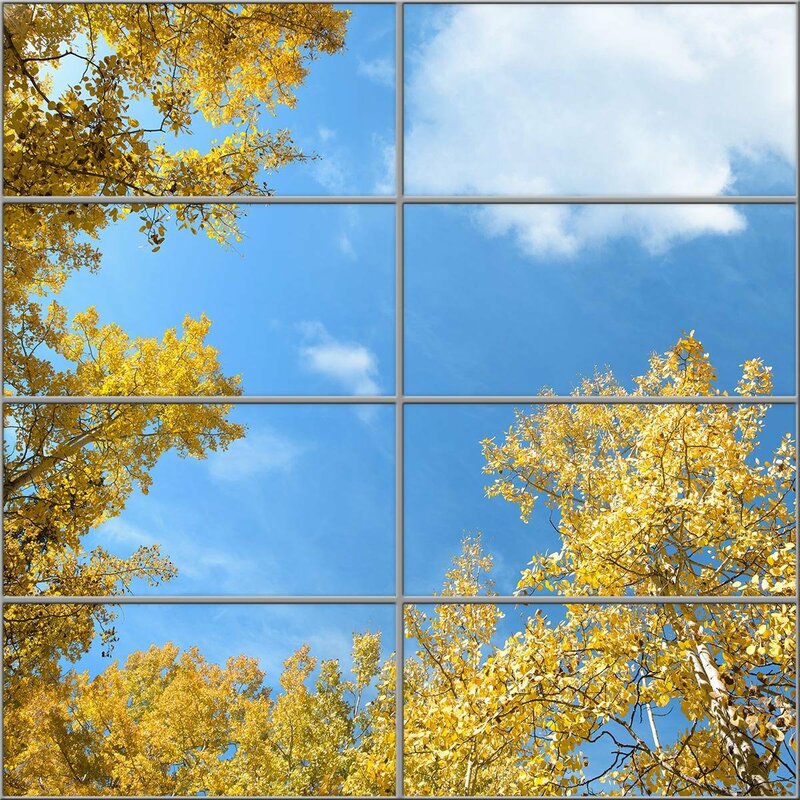 Don’t forget to add optional graphic add-ons such as hot air balloons, soaring birds, airplanes, and hang gliders to customize your sky ceiling panel or sky mural! The fluorescent panels are terrific. I was pleasantly surprised that they are so well made and they arrived in perfect condition. I love looking up at the aspen trees. My husband was impressed and said they look very elegant. Thank you for your help. Makes our office a little more soothing than fluorescent lighting! And it's a perfect fit for our Colorado office. I will never go back to bright lights. We got this panel for a new office space that was too bright. The panel is gorgeous and realistic, and heavy duty enough to know it will last.